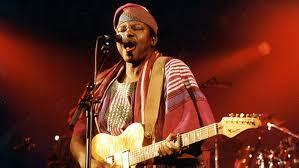 Your success story inspires me, King Sunny Ade. Your courage delights me, even today. From a quickened beginning primed in visionary defiance and risk. you were so hopefully brisk. And its accompanying glamorous filigree. Exuding the confidence of someone who has found his treasure path. And the first Record in hand and your determination intact. So lovingly, so masterfully caressing the String. You have waxed lyrically evergreen and strong. And your dancing feet left us captivated and buoyed. Today, there is no doubt you are truly blessed and fulfilled. The overarching rewards for talents professionally revealed. The rest ....... is a frighteningly awesome career! How time, when having fun, flies. 'Open sesame' and seven decades slowly dissolved with glorious highs. Roll out the drums and the dance, O ye Nigerian muses. And let your voices be heard among men and women and in their great cities. All pay homage.... The king is Seventy and still counting. And the Poet too, rejoices with him, on this day, with no rudely ranting. Those who did yesterday know what it means to be in musical Hades alone. I am wiser; so I align myself with the throne. Let the King reigns! ....."Two hundred years equal one year"
All hail the King; the King of WORLD BEAT! Respect, I am out of here.